December is the best time of year to buy a motorcycle. The riding season for most of the US is closing down and most other buyers are distracted by the holidays and other winter activities. A high supply of bikes and low demand drive prices down. Armed with worksheets available at the book’s website (or better yet, the book itself), you’ll make this a winter to remember. The best buys from dealers are available now, before the dealer has evaluated inventory, balanced it with wholesalers, put in his order for the newly released models and set his bets on the next year. Great deals from individual sellers are also available in December. The most common reason individuals are selling their bikes now rather than waiting for spring is because they need the cash, which puts you in a better position to negotiate. Let’s put the pieces together to get you a new bike. 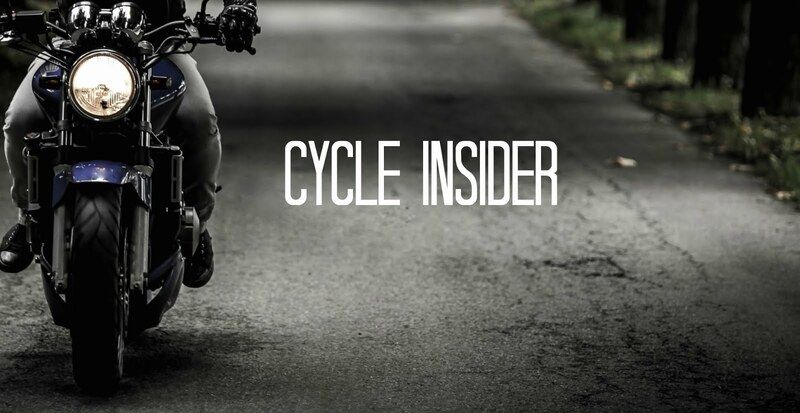 In October’s post, Uncover the True Cost of Ownership, we discussed the various factors that influence the costs between types of motorcycles. The decision to buy new or used is the first one you’ll need to make before shopping. If you decide to buy a used bike, check out September’s column, Inspecting Used Motorcycles – Ensuring You Get One in Great Condition, for some helpful advice and tools. To evaluate motorcycle prices, there are multiple resources listed in the appendix (see below). One of the most popular pricing resources is The Kelly Blue Book. The Blue Book provides online trade-in and suggested retail pricing for motorcycles at no charge. Trade-in value is what you could expect to receive from a dealer if you applied your used motorcycle in trade on a new one. Suggested retail is representative of dealers’ asking prices for an excellent used unit. The book’s appendix listing the resources, as well as worksheets and checklists for TCO, used motorcycle inspection, and more are available at www.theperfectmotorcycle.com/download-worksheets-and-che.html. Justifying the cost of a motorcycle might be as simple as considering using it as a commuter. Using the worksheets available at www.theperfectmotorcycle.com, you can determine for the true cost of your motorcycle including maintenance, gear and fuel. The worksheets allow you to calculate how much money you will save commuting on a bike versus driving your car (and if you drive a truck or SUV, those savings can be dramatic). If you already have a motorcycle, consider getting a second bike. There are many good reasons for owning two (or more) motorcycles. If you take this option, total cost of ownership will not double as you might expect. This is because some insurance companies give special multi-bike discounts that do not cost much more than insuring one bike—primarily because you can only ride one at a time. Also, you don’t need two garages, two sets of tools, two sets of riding gear, or double the training. Maintenance and repair costs do not double because your overall mileage for the two bikes will presumably remain the same as if you had bought a single bike. You can save as much of more on insurance and financing as you can on the motorcycle itself. Regardless of where you shop for a loan or insurance, do not be afraid to ask questions. Loans and insurance are simply other type of products—expensive ones, at that. An excellent resource for shopping for insurance and financing is Cycle Trader’s Research tab of its website at http://www.cycletrader.com/research/. Insurance coverage is no place to skimp. There is too much at stake. No one ever regrets getting too much insurance coverage when they’ve had an accident. However, coverage and cost for premiums are two different things. You can get the same coverage from different companies for different prices. When getting multiple quotes, make sure you are comparing coverage, replacement costs and any overlap with your existing health insurance. Also, ask the company to be considered for their “top-tier” rates, which are their highest discounted rates. You should have a good idea of all the expenses that go into buying your motorcycle from the total cost of ownership worksheet found at www.theperfectmotorcycle.com. There are many good free resources to help you with financial matters. For general information on personal finance and consumer rights see the book’s appendix. Cash is the ideal way to pay for your motorcycle. If you don’t have enough savings for your next bike, installment loans from banks and credit unions are available. • How much will I pay in total in addition to the borrowed amount for the whole term of the loan? • Can the interest rate change during the loan term? • What happens if I’m late on a payment or two? • What are the penalties for early payoff? Some dealers and manufacturers offer financing. Only borrow money for a bike with an installment loan, and not with revolving credit. If you are considering factory or dealer financing, make sure you know which type they are offering. If you buy a motorcycle with revolving credit, you’ll end up paying too much. A revolving credit line works like a credit card, where you can borrow up to an amount of a credit limit and as you pay down the principal, you can borrow again against the line of credit. Besides the temptation to keep borrowing money for other things against the line of credit (and keep paying interest), the main reason you shouldn’t but a bike this way is that the interest can change before you pay off the loan. Worksheets for evaluating insurance and financing costs are available at www.theperfectmotorcycle.com/download-worksheets-and-che.html. Your perfect motorcycle is out there, and at the best prices of the year. Armed with the worksheets (or even better, the book itself), you’ll make this the best winter yet. Please post comments here with the results of your shopping success. The following is based on material in the book, The Perfect Motorcycle: How to Choose, Find and Buy the Perfect New or Used Bike (www.theperfectmotorcycle.com). Research is important. Before you know what to do and how to do it right, you must have the right information. However, it may surprise you to find that often if you focus on looking for what you want, you can do it in a few minutes. Most of the time are spent wandering around from sites to sites. You can actually get decent used bikes if only you know where and how to look for it. Sometimes, buying new bikes is impractical because of its high price when there are used bikes that are seldomly used but can be bought half the price. You can get lucky with used bikes.